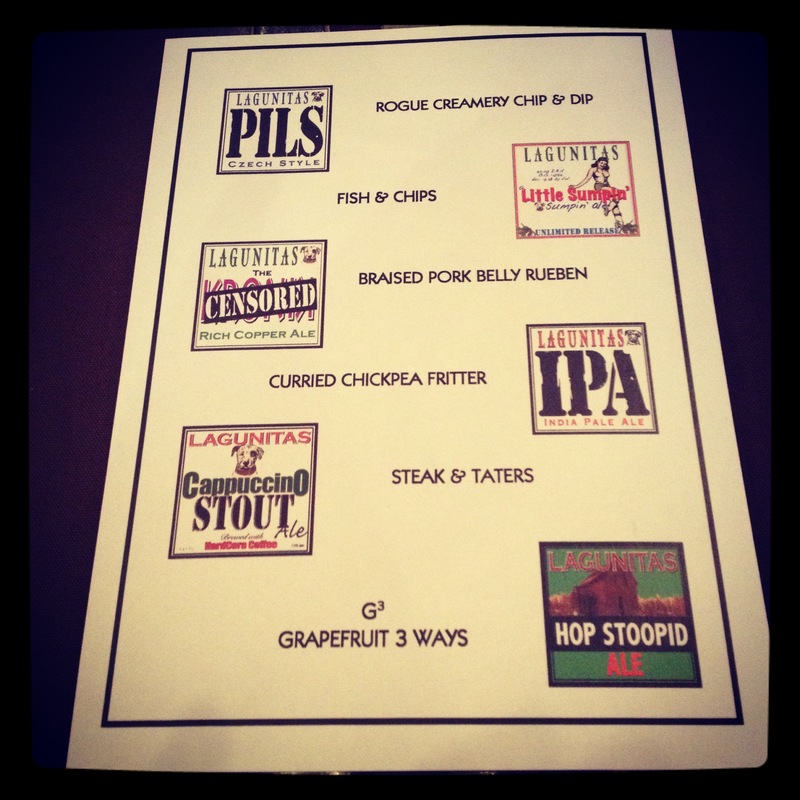 About a month ago, On Monday, April 7th Andrew and I headed to LJ’s in Hagerstown for an amazing Lagunita’s 6 course beer dinner! 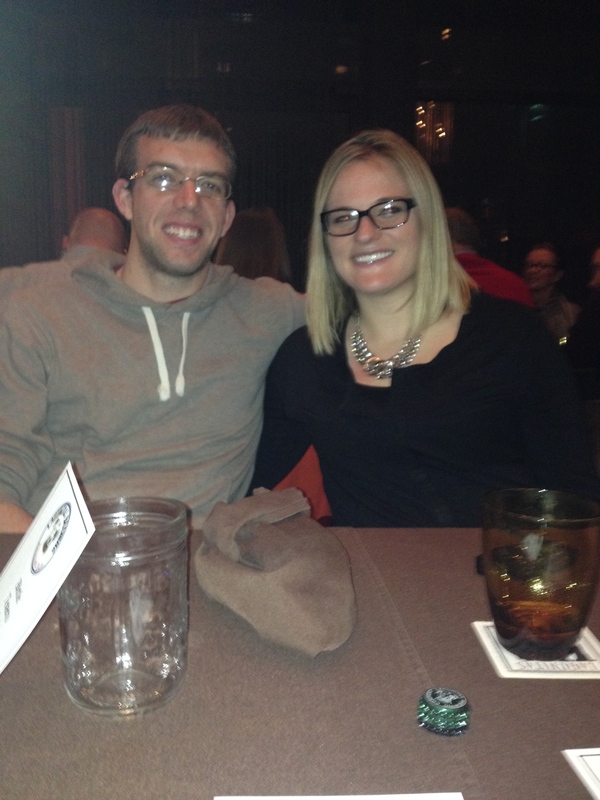 Andrew’s birthday is April 11th so we decided to celebrate a few days early at the beer dinner. 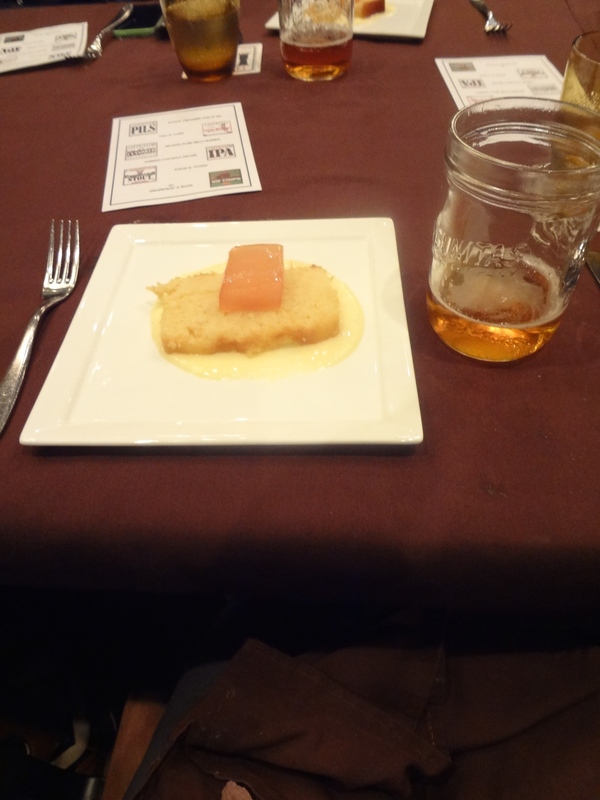 Each sampling of Lagunita’s beer was paired with a very unique dish. 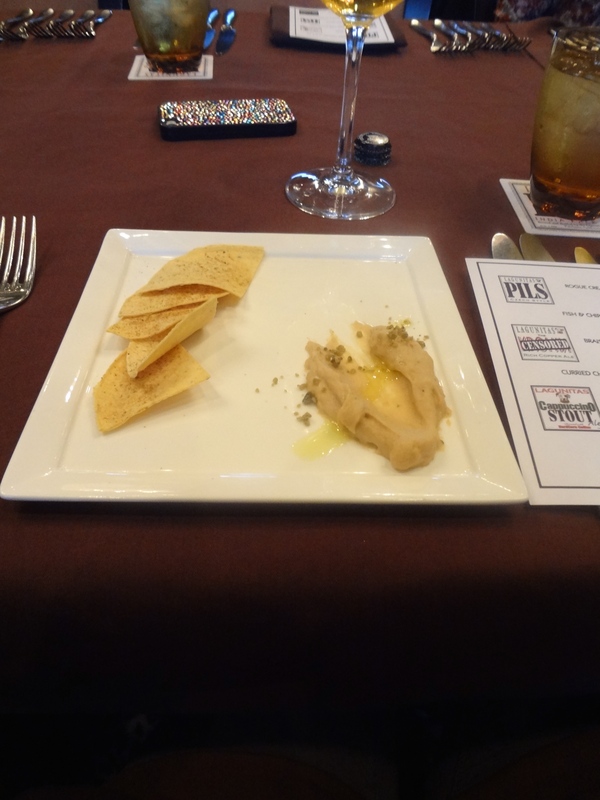 The first course was a creamy dip that tasted like hummus. The chips were sprinkled with cumin! 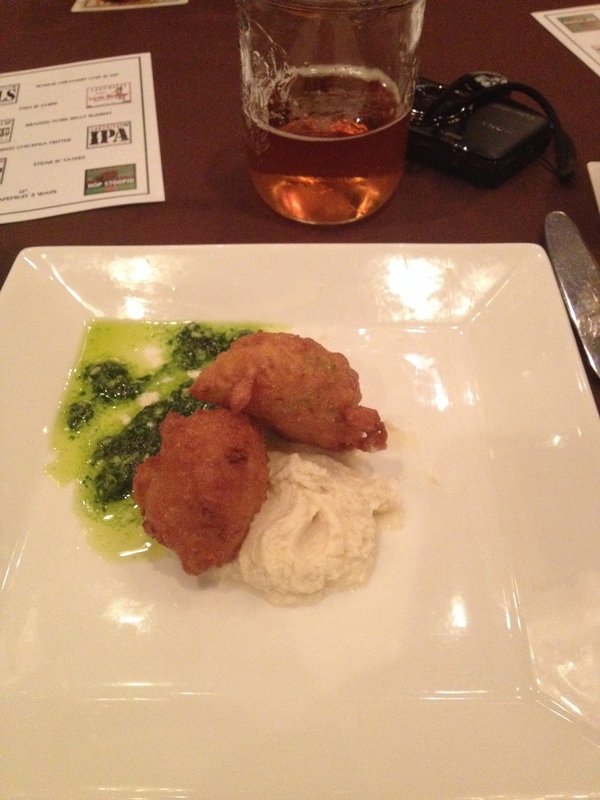 The beer that went with this dish was the Lagunita’s Pilsner…it was a great start! 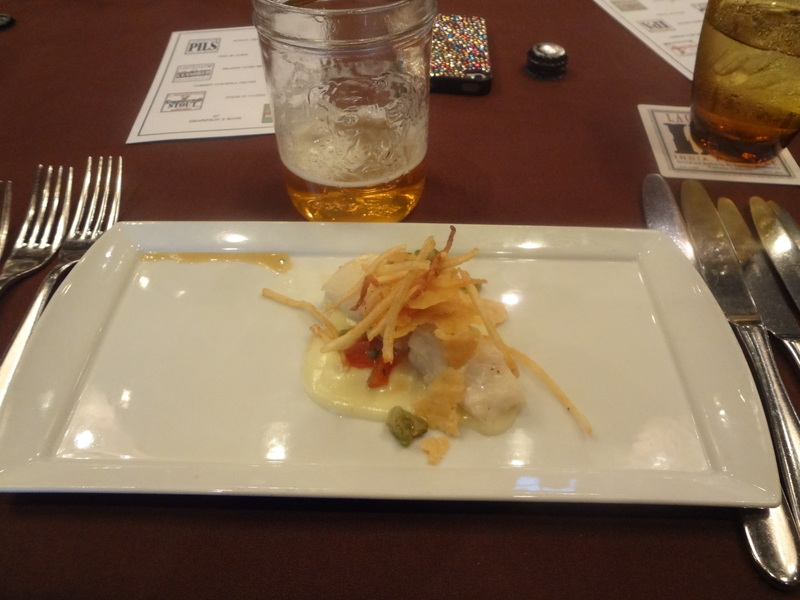 Next up was my favorite pairing of all…the beer was a “Little Sumpin” that reminded me of a summer drink on the beach…paired with “Fish and Chips”…not the typical fish and chips…Halibut with capers and some wonton crisps on top. 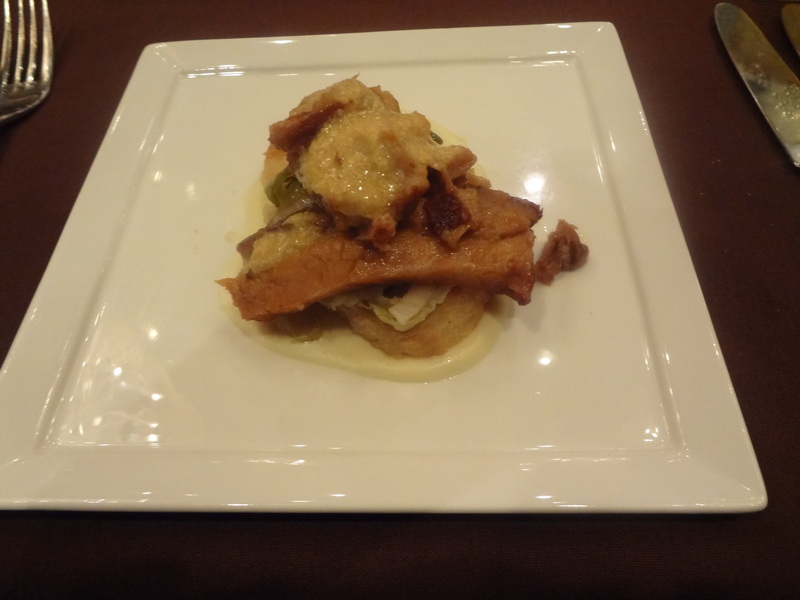 Next up was the “Braised Pork Belly Rueben”…I am now starting to become obsessed with Ruebens. Lagunita’s paired their “Censored” beer with this dish. 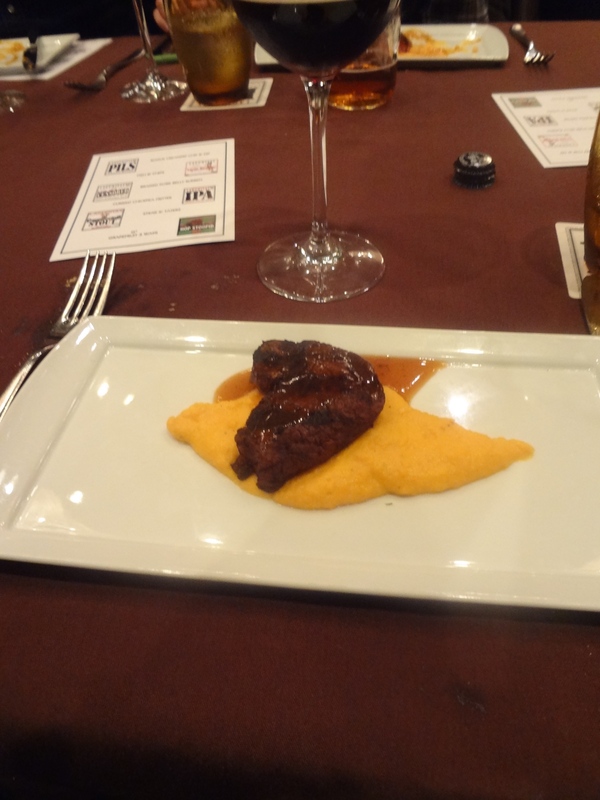 Our last entrée of the evening was the “Steak and Taters”…for the taters they souffléd sweet potato…anything with sweet potato I am ALL for! This was paired with a cappuccino Stout (I am sure my mom is cringing right now! 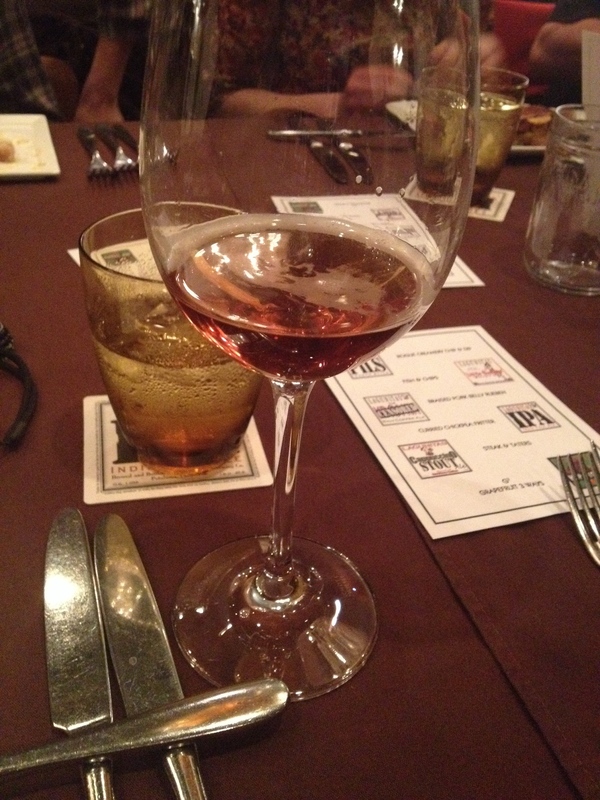 )…This was probably my least favorite of the beer, but a little tasting was perfect. 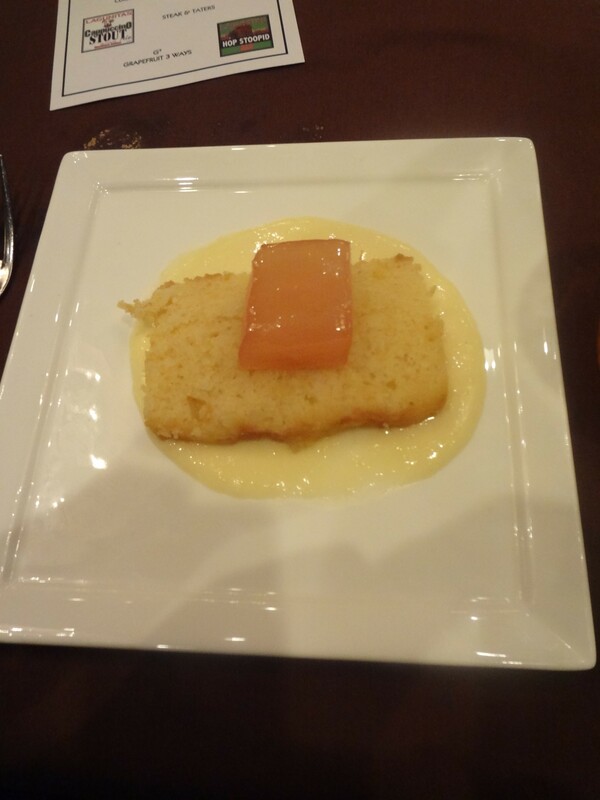 And last but not least was the “desert” that had me so intrigued…it was called G3…Grapefruit three ways…It was a “grapefruit” flavored sponge cake, a creamy grapefruit flavored icing, and on top is a piece of grapefruit flavored gelatin! I am usually not a grapefruit fan but this desert was really different and delicious! Always fun to try new stuff. This was paired with the Hop Stoopid Ale which was great together. All in all the dinner was a great experience and a great way to try lots of different cuisines and beers. My favorite beer was the Lagunita’s Little Sumpin’ which I plan on drinking by the pool or on the beach!